Preparing for Spring Management actually begins the moment the honey bee hive is secured for the long winter months. Preparing for winter losses becomes crucial to those in an expansion mode. Possibly preparing a Resource Hive (winter NUC) to repopulate hives that do not survive the arduous winter. Hives not surviving the wintry months often succumb to a lack of resources and/or varroa mites. Note in the picture below the huddle of bees in a pool of mold. This “dead out” lost the clusters provided heat which allows the mold to take hold. With the end of winter, as the colony transitions from its clustering behavior (similar to hibernation in mammals), going into spring the colony must begin the task of replacing their sisters who did not survive the winter months. They must also increase the hive’s population from the winter numbers toward those necessary to sustain the plethora of activities during the spring nectar flow. Brood rearing commences once again in January or February in the Northern Hemisphere. The honey bee instinctively looks toward the ‘next season’ in their preparation functionality. For the late winter, that becomes increasing the strength of the colony toward reproducing (swarming) as spring arrives in their annual cycle. The winter break typically witnesses a break in brood rearing which directly affects the varroa mites and small hive beetle from reproducing until the queen returns to laying eggs. The honey bee does not exit the hive until the external temperatures begin to rise. Typically the temperature must reach 50 degrees before such flights occur, yet short voiding flights around the hive’s entrance may occur in lessor temperatures (45 – 50). Each individual has been holding off waste elimination as the weather precludes their functioning outside the comfort of the cluster. The girls typically do not void inside the hive. It is not until temperature approach 50 degrees F, and of course a break in rain, that they are able to furiously exit the hive for their voiding flight. Hive entrances may take on the appearance of dark spots or smudges. Adjacent vehicles have been known to be splattered as well. 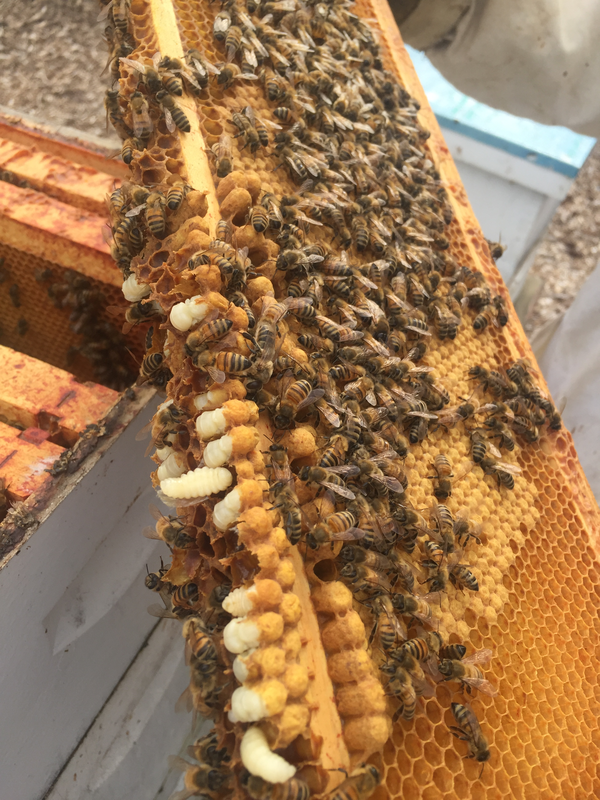 It becomes imperative for the beekeeper to assess the weight of the hive from late winter through early spring to insure the hive does not deplete it resources. At this critical time, when the hive’s activities ramp up to replace their population and increase the overall population from its current state to 50-60,000. This requires significant energy which in turn has the potential to deplete the hive’s stores. Lifting the entire hive from the rear to ascertain its weight is an accepted method of determining the amount of honey reserves remaining. A weight scale is another Brood Minder Scale. Monitoring the hive’s weight becomes critical as colonies have depleted their reserves and succumb to starvation. 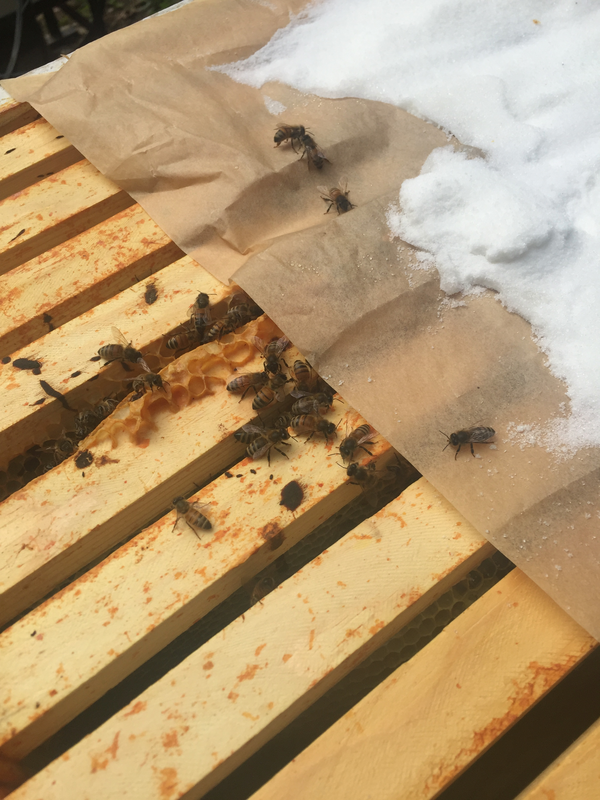 Going into winter months, should the beekeeper be concerned with the hive’s ability to sustain itself through this challenging period, the addition of dry granulated sugar placed on a sheet of paper directly on the frames augments the ravaging nutritional needs at winter’s end. Hives surviving the hazards of wintering in the cold northern climatic regions are reduced proportionally with increased food reserves provided prior to the final close of the hive in the fall. 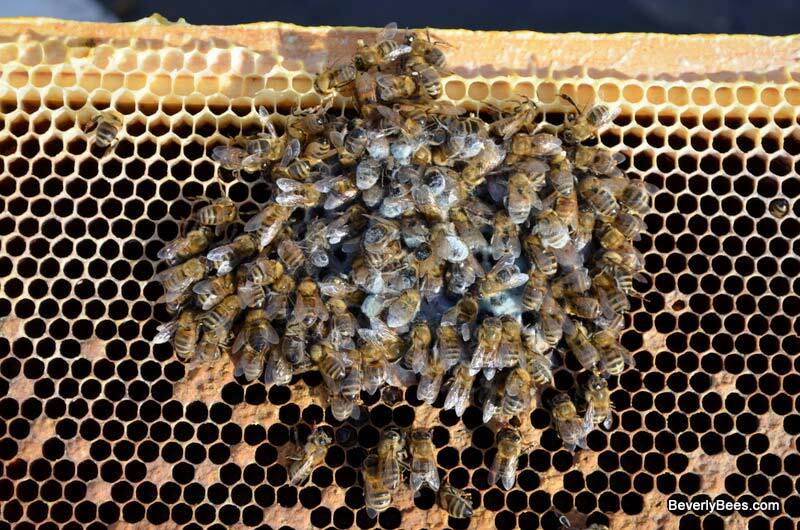 Starvation and late winter and early spring emergency feedings are avoided if adequate honey reserves are supplemented with pollen substitutes in the late winter and early spring. Skillful management of the honey bee hive applied during the productive season goes a long way toward fascilitating the optimal conditions for the nonactive season. Swarm prevention includes monitoring the hive to insure adequate expansion space is available for brood rearing and resource storage. Dividing, or performing splits, to strong colonies is also a great swarm-control measure prior to the main nectar flow. Splitting of colonies has the additional benefit of interrupting the Varroa Mite life cycle. Providing the hive with “upward ventilation”, through a notched inner cover or placing a 5/8″ auger hole in the upper hive body is important. The honey bees, like humans, require fresh air (oxygen) and removal of stale air in the typical home. Including communication means between frames through the addition of holes in the foundation of frames is also recommended. Another consideration for the spring season is water. 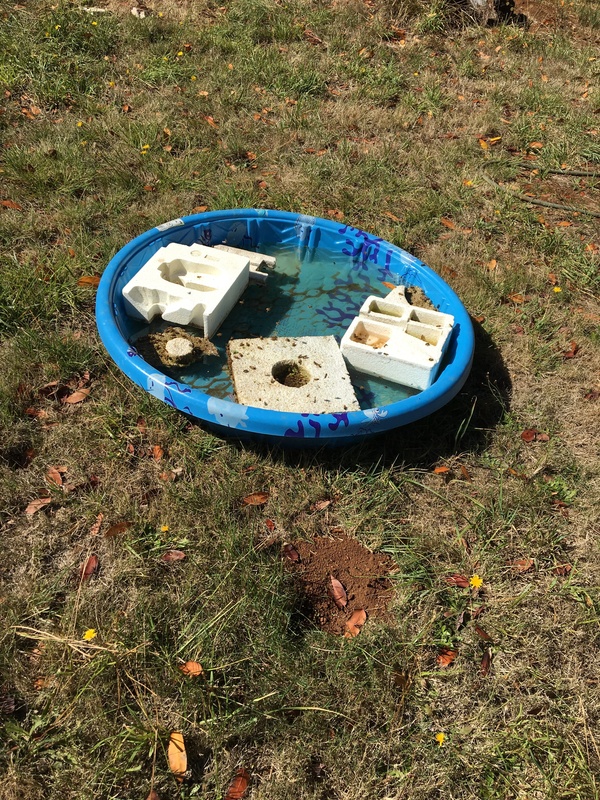 Some have used a wading pool filled with sponges or other floating items to assist the bees in their endeavor to bring adequate water into the hive.